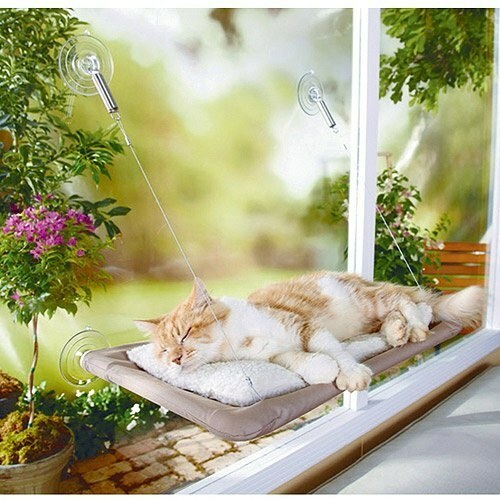 This window bed for the cat that wants to soak up the sun. 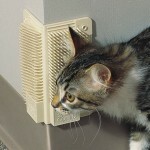 This door vent that will also keep dogs out of places where only a cat is allowed to be. 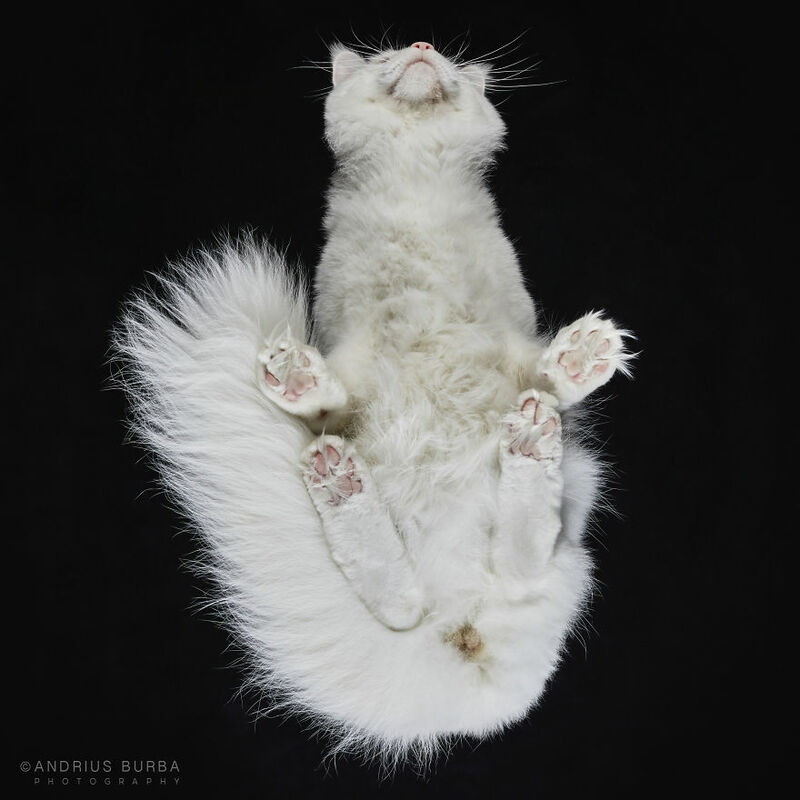 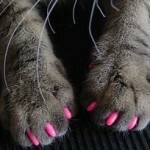 Soft Paws are a safe alternative to declawing. 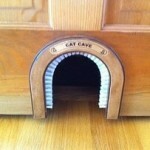 The cat cave/cat hole/cat door. 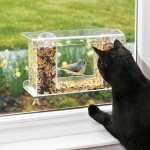 This window bird feeder, which is like TV FOR YOUR CATS. 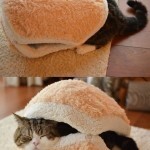 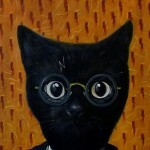 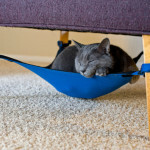 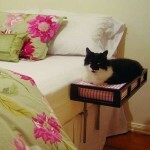 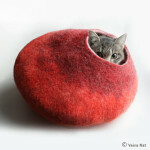 They make these for babies, but your cat should have one, too, obvs. 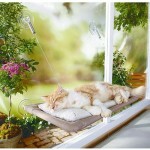 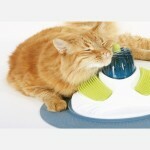 This tantalizing solar-powered cat toy. 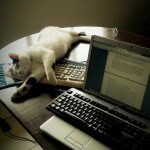 A decoy keyboard for those trying to get some work done. 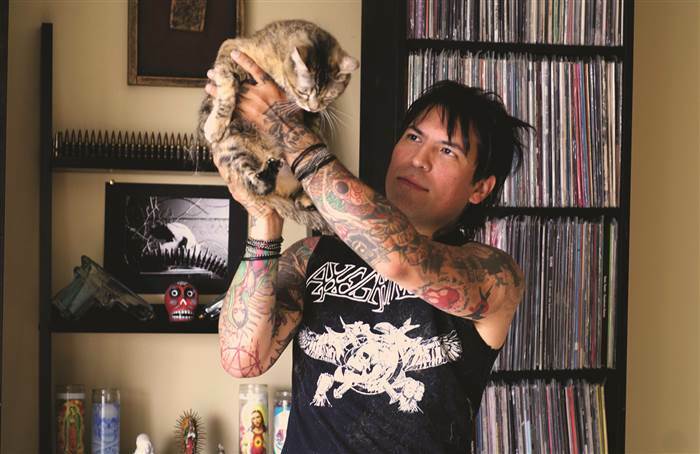 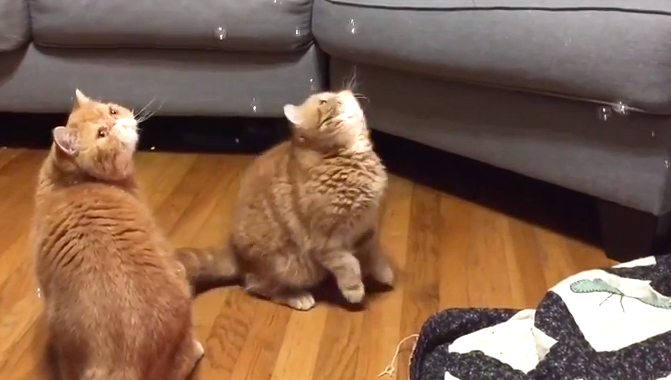 This cat “massage center,” aka kitty heaven. 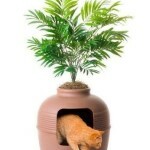 This amazing place to hide a cat litter box. 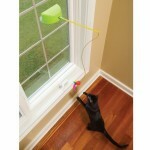 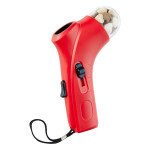 A kibble shooter so you can feed your cat from the comfort of your recliner. 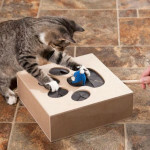 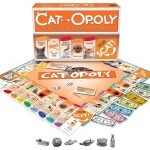 This whack-a-mole game that opens up a whole new way to play with your cat. 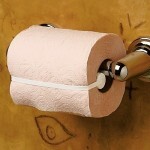 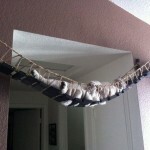 The Indiana Jones Cat Bridge.